If you are in the market for a steam iron, you have probably been impressed by large tanks and all sorts of amazing gliding surfaces for soleplates. These are important features because ironing capacity, and ironing time, as well as ease of ironing are important factors to consider. However, the primary consideration you should always stay focused on is steam power and steam pressure. If you select a model that underperforms on these grounds, you have wasted your money. It really doesn’t get any simpler than that. Why are steam power and steam pressure so important? 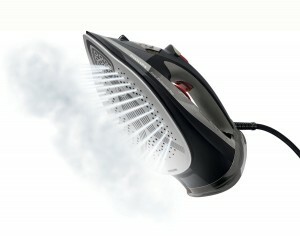 To put it as simply as possible, steam power and pressure are the core functions of a steam iron. What’s the point of buying a sleek iron with all sorts of amazing surfaces and a long cord when it can’t produce the steam and pressure you need to iron out creases and wrinkles on fabrics? Steam power and pressure are non-negotiable, and luckily enough can be found in the Philips GC4521/87 Azur Performer Steam Iron. The tricky part about picking among steam irons based on these factors is the fact that it is very easy to get sidetracked. It is too easy to think comfort and convenience are more important than getting the job done right. Avoid this temptation. Avoid the temptation of overlooking heating issues because this has a tremendous impact on how much steam power a unit can produce. I am happy to report that this Philips unit can produce a heavy head of steam. At 200g, this unit is no lightweight. Thanks to its 2600 Watt power input, this unit can get warm very quickly and produce the right amount of steam. It is not an underpowered unit like other steam irons on the market. There are many other models that talk a big game about huge steam volume and pressure but they take a long time to warm up. They are simply underpowered because their energy source doesn’t have high enough wattage to take care of business quickly. This unit does. Because of the Philips GC4521/87 Azur Performer Steam Iron’s 2600 watt power, you can rest assured that the unit will heat up quickly enough for you to enjoy the steam power you need. Heating time is a very important factor because most people have busy schedules. Many people simply don’t have the luxury of waiting for their iron to get hot enough. Not surprisingly, many steam iron users are put in the frustrating situation of trying to iron out crinkled surfaces and deep creases with a less than red-hot iron. The results are predictable: they have to take more time doing more passes to iron out creases. Long warm up times are very frustrating because you bought a new steam iron precisely because you thought it would help you take care of wrinkles in a very short period of time. You want convenience and ease. Instead, you are forced to iron longer because the unit doesn’t have enough wattage. 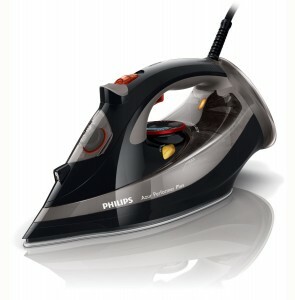 The Philips GC4521 produces 50g of steam continuously. 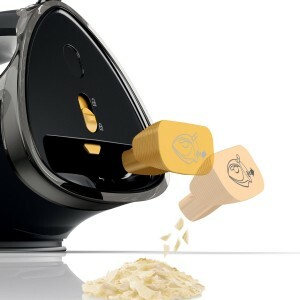 This is a great feature because you can reserve the steam boost of 200g for particularly difficult creases and wrinkles. This unit is able to produce steam continuously due to its high heat and quick heating ability. 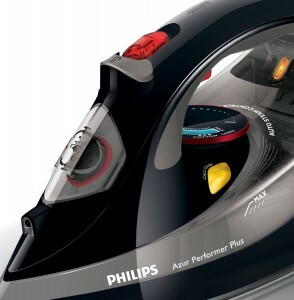 Since this unit is producing heat as you iron, it takes less time and effort to knock out wrinkles. stretches of time, you might have to refill. This can interrupt your productivity. This also takes extra time. The saving grace of this device is that it is very hot so you can knock out more wrinkles with less water. However, this might be small consolation for people who routinely have to iron huge loads of material. The GC4521 is a powerful steam producing device and it is able to handle steaming in both a vertical and horizontal position. Vertical steaming is important because drapes are a hassle to take off, clean, and steam. While you might not need to steam vertically all that often, it does give one an extra measure of peace of mind to know that the steam iron one is using has a vertical steaming capability. Also, the fact that this unit can be used vertically is a big testimony to its ability to produce volume steam and its ability to produce directed steam pressure. One of the most exciting and valuable features that are fast becoming standard in steam irons is auto shutoff. Not only does this feature enable you to save your fabrics from burning, it can also mean life and death. Thanks to our modern age of mobile wireless gadgets, it is becoming extremely common for people who are steam ironing something to get distracted when someone texts or calls them on their mobile phone. Many people even leave the room they are ironing in to get a better phone reception. This can be a tragic mistake if you are using a steam iron that doesn’t have an auto shutoff feature. This Philips GC4521/87 Azur Performer Steam Iron has an auto-shutdown system so you don’t have to worry about burning your favorite shirt or a part of your home just because someone called you on your mobile phone. Another feature I find exciting about this unit is its limescale notification system. Too many steam iron users neglect their irons. They keep using the iron until it scales up and they end up buying another replacement. They simply resign themselves to this ‘lifecycle.’ The truth is that you don’t have to take this lying down. You simply need to descale your unit from time to time so you can extend its product life. Thanks to the GC4521’s scaling notification system, you can get a clear idea of when to descale your iron. There’s no guesswork involved. This unit effectively extends your unit’s life and saves you quite a bit of money. While there is no such thing as a perfect steam iron, this unit’s great steam power and quick high heat make it a great practical buy for most people.